Plastic accumulating in our oceans and on our beaches has become a global crisis. Billions of pounds of plastic can be found in swirling convergences that make up about 40 percent of the world's ocean surfaces. At current rates plastic is expected to outweigh all the fish in the sea by 2050. Sign our petition to protect marine wildlife from deadly plastic pollution. Plastics pollution has a direct and deadly effect on wildlife. Thousands of seabirds and sea turtles, seals and other marine mammals are killed each year after ingesting plastic or getting entangled in it. Endangered wildlife like Hawaiian monk seals and Pacific loggerhead sea turtles are among nearly 700 species that eat and get caught in plastic litter. It's time to get at the root of this ocean crisis. The Center has petitioned the Environmental Protection Agency to begin regulating plastics as a pollutant and is working to stop plastic pollution at the source, before it ever has a chance to reach the ocean. We're surrounded by plastic. It’s in the single-use packaging we discard, the consumer goods that fill our stores, and in our clothing, which sheds microplastic fibers in the wash. In the first decade of this century, we made more plastic than all the plastic in history up to the year 2000. And every year, billions of pounds of more plastic end up in the world's oceans. Studies estimate there are now 15–51 trillion pieces of plastic in the world's oceans — from the equator to the poles, from Arctic ice sheets to the sea floor. Not one square mile of surface ocean anywhere on earth is free of plastic pollution. The problem is growing into a crisis. The fossil fuel industry plans to increase plastic production by 40 percent over the next decade. These oil giants are rapidly building petrochemical plants across the United States to turn fracked gas into plastic. This means more toxic air pollution and plastic in our oceans. We need urgent action to address the global plastic pollution epidemic. Unfortunately, plastic is so durable that the EPA reports “every bit of plastic ever made still exists.” All five of the Earth's major ocean gyres are inundated with plastic pollution. The largest one has been dubbed the Great Pacific Garbage Patch. The Great Pacific Garbage Patch is a gyre of plastic debris in the north-central Pacific Ocean. It’s the largest accumulation of plastic in the world. Just how big is it? Using the map below, click and drag around the garbage patch (shown in red.) If you’re on mobile, zoom in and use two fingers to drag more easily. Thousands of animals, from small finches to blue whales, die grisly deaths from eating and getting caught in plastic. Fish in the North Pacific ingest 12,000 to 24,000 tons of plastic each year, which can cause intestinal injury and death and transfers plastic up the food chain to bigger fish, marine mammals and human seafood eaters. A recent study found that a quarter of fish at markets in California contained plastic in their guts, mostly in the form of plastic microfibers. Sea turtles can mistake floating plastic garbage for food. They can choke, sustain internal injury and die — or starve by thinking they’re full from eating plastic. Tragically, research indicates that half of sea turtles worldwide have ingested plastic. New studies find plastic pollution is so pervasive on many beaches that its affecting their reproduction. Hundreds of thousands of seabirds ingest plastic every year. Plastic ingestion reduces the storage volume of the stomach, causing starvation. It’s estimated that 60 percent of all seabird species have eaten pieces of plastic, with that number predicted to increase to 99 percent by 2050. Dead seabirds are often found with stomachs full of plastic, reflecting how the amount of garbage in our oceans has rapidly increased in the past 40 years. Marine mammals ingest, and get tangled up in, plastic. Large amounts of plastic debris have been found in the habitat of critically endangered Hawaiian monk seals, including in areas that serve as pup nurseries. Entanglement in plastic debris has also led to injury and mortality in the endangered Steller sea lion, with packing bands the most common entangling material. Dead whales have been found with bellies full of plastic. The Center for Biological Diversity is tackling this problem on multiple fronts. We’ve petitioned the U.S. Environmental Protection Agency asking the government to regulate plastics as a pollutant under the Clean Water Act and will keep pushing for plastic pollution to be treated as the hazardous waste that it is. There’s still a lot of work to do, but we’re committed to the long struggle to reduce ocean plastic pollution. Your support is crucial to save marine wildlife and our oceans. 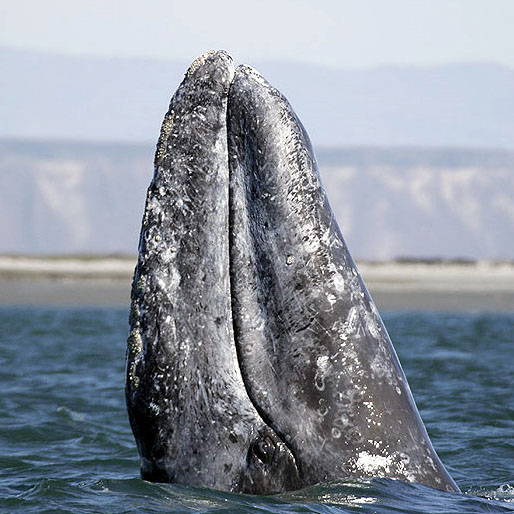 Banner photo by Wouter de Bruijn/Flickr; gray whale photo by Chris Johnson, NOAA.